Applying Behavior Driven Development practices to infrastructure. Earlier this summer I worked with my team to apply Behavior Driven Development practices to infrastructure that we deployed our products to. Prior to this the DevOps team simply identified toil and implemented solutions. Unfortunately this meant the reasons behind the changes would get lost over time. Having GHERKIN files with your solution means that information would not get lost. 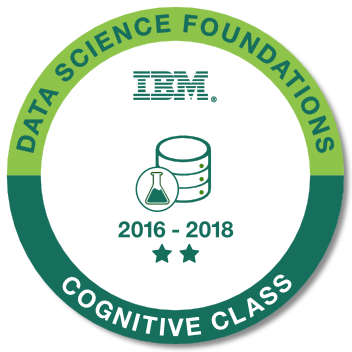 Interesting enough we were able to reduce the total size of the source code considerably because some of the user stories were no longer relevant. I wrote a tutorial based on this experience that can be found here. My personal belief is that coding frameworks are natural and can’t be avoided. Especially as projects mature and grow in size. They start as boilerplate code, best practices, and style guides. Then code is refactored into more manageable components and a framework emerges. That framework is used across many different projects and inherits use-cases that may not be relevant to your project and can be seen as bloat. Bloat leads to performance implications which then leads to considering a different framework or writing your own. Migrating to a different framework can be extensive and for front end developers happen more often than the backend. I loathe rewrites and find them to be an anti-pattern. However there are justified reasons for making them. There comes a time when technical debt is so great it justifies a major change. For frameworks this means it is easier to migrate to a new framework than address the technical debt you have with the existing framework. In my experience the technical debt that drives this is less performance and more security or maintainability. Up to this year I would have never thought on-boarding new developers could drive a framework change. I was in the camp a basic Computer Science degree as a solid foundation was enough. However majority of mastering a framework is less learning the terminology/usage and more understanding the community. Many of the frameworks today you just can’t buy a book. You need to learn by engaging the community. Whenever you have or build top talent they always have one foot out the door. Finding a new developer takes time and requires resources from the team to vet the right candidate. Then they need to up-skill with assistance from the team. Finding and on-boarding a new developer can have a significant impact on the delivery schedule. Aligning some of the technologies/frameworks with talent in the marketplace reduces this overhead. This is probably the most frustrating driver of change. This should always be done with a cost/benefit analysis and not simply following the framework du jour. So how do we address framework fatigue. On one hand you could choose a framework that you believe will be victorious and stick with it as long as you can. You could also manage your own framework and be responsible for everything. However I am not a betting man and don’t have the resources to keep up with every security edge-case. I would rather accept embrace change. So I externalize and break down logic as much as possible. Additional levels of abstraction impact performance so choose wisely. Lastly spend some time between retrospectives and planning sessions to perform gap analysis between what you are doing and where the frameworks are going. 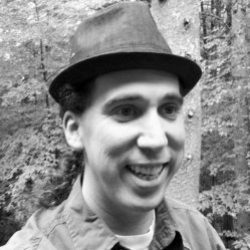 If you are using Angular 1.x is the direction Angular 2 aligned with your interest? 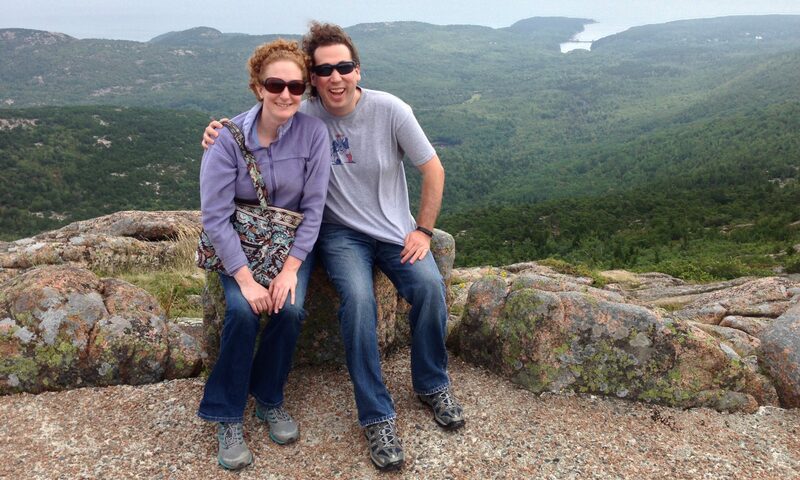 Is there another framework with an active community better suited for your needs. Ultimately the story of living with frameworks is about living with change, choice, and constant revalidation of direction and purpose. For a while now I have been using a tool that I created called the Jazz Support Handler. I originally created it as part of a thought experiment of how to bring some of the Jazz.net experience into the Rational Team Concert client. 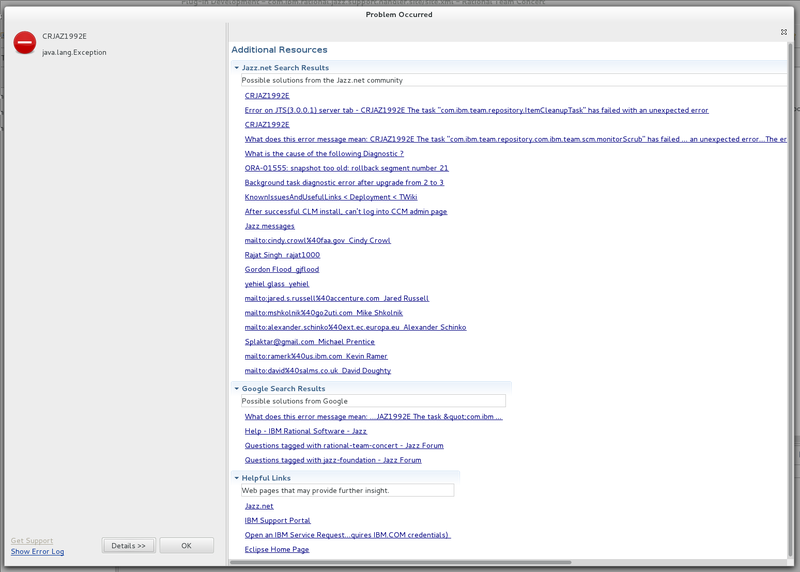 The tool automates searching Jazz.net and Google when an error occurs inside of eclipse. This saves me a lot of copy/pasting and additional browser windows. With the upcoming release of CLM 4.0.3 and the move to Eclipse 4.2.2, I thought I would update the dependencies and make it available to the public. Now this tool will only catch errors passed to the ErrorSupportProvider from the Eclipse Workbench API. it only works while the eclipse workbench is still active. Lastly this is a non-supported tool. 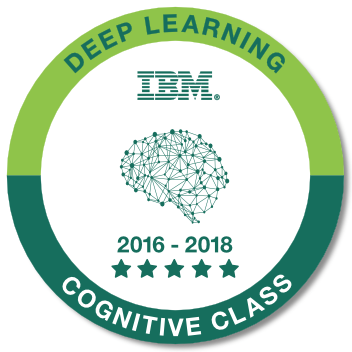 Although I do work for IBM this is not supported by IBM nor myself. That being said I do encourage you to comment on this post with any trouble you may have. The latest bits are designed to work with the Rational Team Concert 4.0.3 Eclipse client (3.6.2 or 4.2.2 Eclipse clients). If you have RTC 4.0.3 installed in another Eclipse client than it needs to be Eclipse versions 3.6.2 or later. Eclipse also supports numerous operating systems but I have only tested it under Windows XP, Linux (Ubuntu, RHEL 6.2, and Fedora), and Apple OSX. Start your Rational Team Concert 4.0.3 Eclipse Client. Select Jazz Support Handler and its child feature. 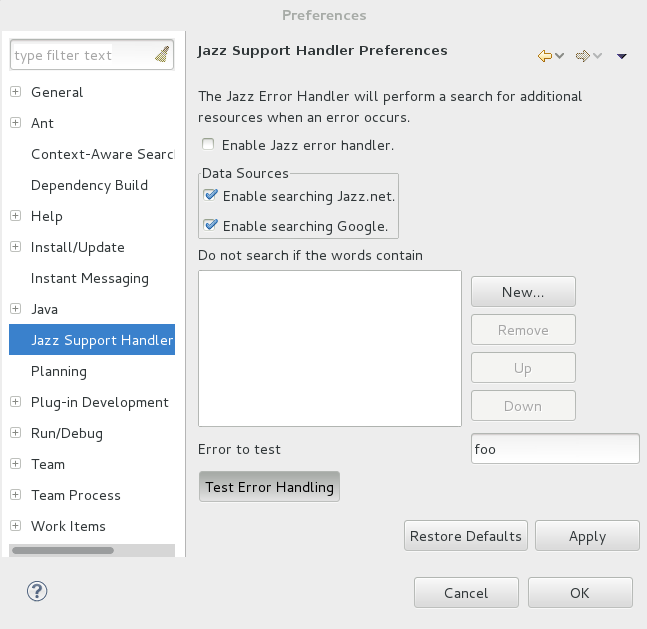 After the install has completed there will be a new “Jazz Support Handler Category” in your Eclipse Preferences dialog. This new preferences area is where the Jazz Support Handler can be configured and tested. There are three basic settings available to the user. 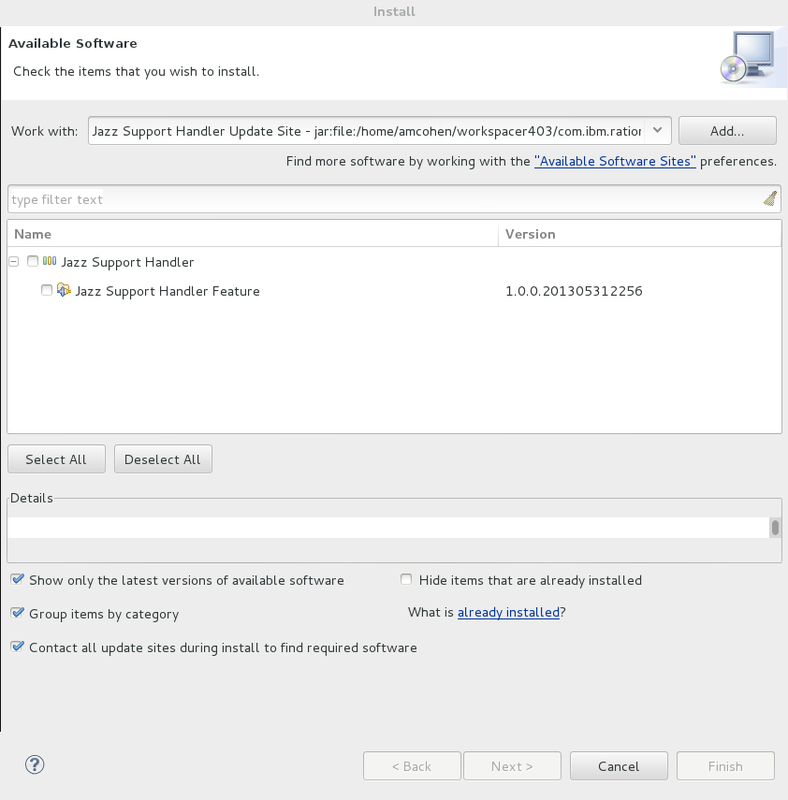 Enabling the Jazz Support Error Handler or using the default ErrorSupportProvider.Eclipse only allows for one error handler to be enabled at a time. Which data sources do you want to display? Google? Jazz.net? both? neither? What do you want the tool to ignore? I am always amazed how much search engines can know about their users. I normally add filter words for my projects which prevent project specific errors from being googled. Finally there is a test button. This is very useful for testing filters and also allows you to see the dialog without the need for an workbench error.